from left to right: Haruhi Suzumiya - The Melancholy of Haruhi Suzumiya (Club president), Suzu and Tsuda - Seitokai Yakuindomo (student council), Kuroko - Toaru Kagaku no Railgun (Judgement, Disciplinary Committee), Kamado Ueshita - Mirai Nikki (Director of the orphanage). 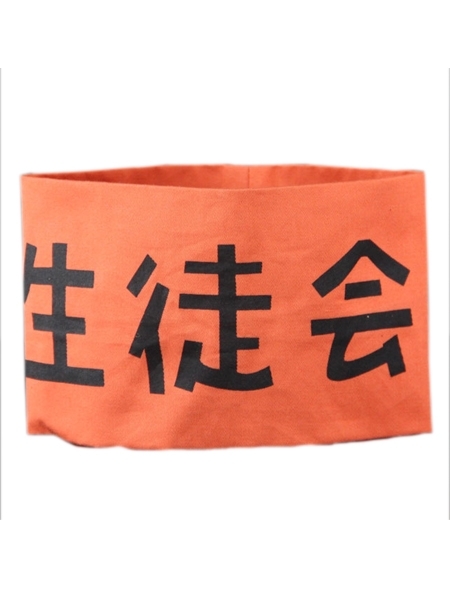 is this arm band have particular name? what is it purpose and how is this originate? Is this related to Japanese culture? I never see someone wearing this in my country. The red armband can have a very different connotation in Japanese culture than in that of many other countries. 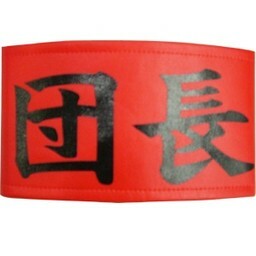 The leader of any group might wear a red armband, usually with the characters for the name of the organisation written on it, as a symbol of his authority. Due to cultural diffusion, the usage of the red armband by leftist political groups has spread to Japan as well. The link also has information on how it spread to Japan but that's out of the scope so I'm not including it here. 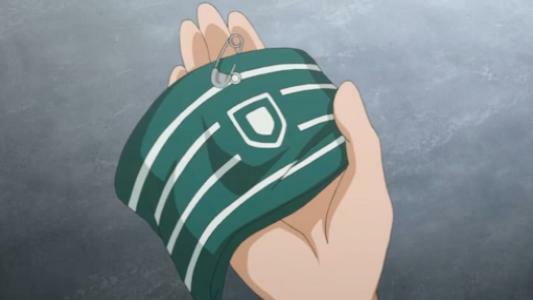 2) In Ousai (Private Academy featured in Seitokai Yakuindomo) red armbands signifies power, not leadership—students that enforces rules wear them. Couldn't find information regarding the fourth. Also, personally, in many Japanese Dramas I have seen working people wear such bands like the reporters, journalists, forensics and even the police officers (not red though, it's usually white in black text) so I'm guessing it's a way to tell who's from which organization. What is the purpose of the watermelon in the ritual at the beach? What are these designs based on? What are the characteristics of a “tsundere”?